The Arctic Ocean stands at the threshold of significant changes. Climate change and the melting of ice have a potential impact on vulnerable ecosystems, the livelihoods of local inhabitants and indigenous communities, and the potential exploitation of natural resources. By virtue of their sovereignty, sovereign rights and jurisdiction in large areas of the Arctic Ocean the five coastal states are in a unique position to address these possibilities and challenges. 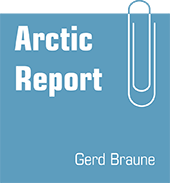 In this regard, we recall that an extensive international legal framework applies to the Arctic Ocean as discussed between our representatives at the meeting in Oslo on 15 and 16 October 2007 at the level of senior officials. Notably, the law of the sea provides for important rights and obligations concerning the delineation of the outer limits of the continental shelf, the protection of the marine environment, including ice-covered areas, freedom of navigation, marine scientific research, and other uses of the sea. We remain committed to this legal framework and to the orderly settlement of any possible overlapping claims. This framework provides a solid foundation for responsible management by the five coastal States and other users of this Ocean through national implementation and application of relevant provisions. We therefore see no need to develop a new comprehensive international legal regime to govern the Arctic Ocean. We will keep abreast of the developments in the Arctic Ocean and continue to implement appropriate measures. The Arctic Ocean is a unique ecosystem, which the five coastal states have a stewardship role in protecting. Experience has shown how shipping disasters and subsequent pollution of the marine environment may cause irreversible disturbance of the ecological balance and major harm to the livelihoods of local inhabitants and indigenous communities. We will take steps in accordance with international law both nationally and in cooperation among the five states and other interested parties to ensure the protection and preservation of the fragile marine environment of the Arctic Ocean. In this regard we intend to work together including through the International Maritime Organization to strengthen existing measures and develop new measures to improve the safety of maritime navigation and prevent or reduce the risk of ship-based pollution in the Arctic Ocean. The increased use of Arctic waters for tourism, shipping, research and resource development also increases the risk of accidents and therefore the need to further strengthen search and rescue capabilities and capacity around the Arctic Ocean to ensure an appropriate response from states to any accident. Cooperation, including on the sharing of information, is a prerequisite for addressing these challenges. We will work to promote safety of life at sea in the Arctic Ocean, including through bilateral and multilateral arrangements between or among relevant states. The five coastal states currently cooperate closely in the Arctic Ocean with each other and with other interested parties. This cooperation includes the collection of scientific data concerning the continental shelf, the protection of the marine environment and other scientific research. We will work to strengthen this cooperation, which is based on mutual trust and transparency, inter alia, through timely exchange of data and analyses. The Arctic Council and other international fora, including the Barents Euro-Arctic Council, have already taken important steps on specific issues, for example with regard to safety of navigation, search and rescue, environmental monitoring and disaster response and scientific cooperation, which are relevant also to the Arctic Ocean. The five coastal states of the Arctic Ocean will continue to contribute actively to the work of the Arctic Council and other relevant international fora.